If you’re living on a fixed income, you’re likely avoiding new investments. With only a small stream of available income, you can feel trapped financially – unless you’ve prepared ahead of time. That’s why more people are turning to fixed income investments. Fixed income investments are the perfect solution for those looking to retire and still have spending money. These unique investments give you consistent returns that you can rely on when retired. You can use fixed-income income investments to grow your wealth at a predictable rate. Fixed income funds are especially advantageous when you’re depending on reliable cash flow and want to avoid dipping into your assets when you’re in need of cash. With more people choosing to retire than ever before, fixed-income funds are attracting investors at a growing rate. 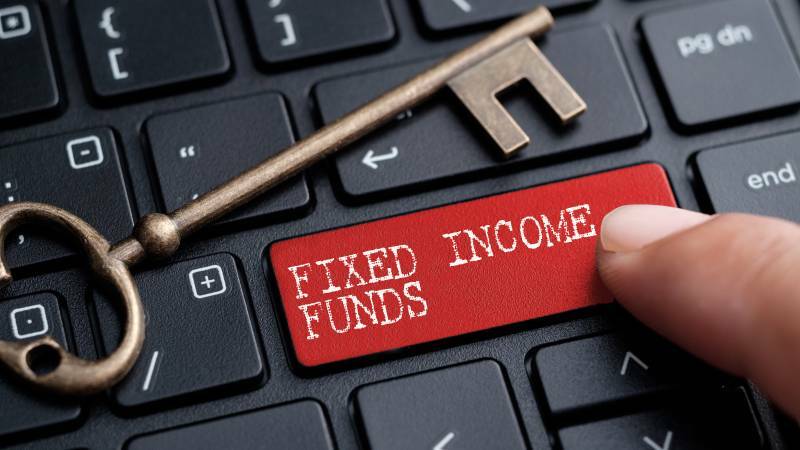 Here’s what you need to know about investing in fixed income funds. Fixed income is ideal for retirees because it yields income like a traditional job: you’ll receive money like an employee receives a regular paycheck. It’s steady income that gives you a consistent budget so you can stay within your means while leaving extra money for discretionary spending. Most fixed-income funds are designed for retirees who desire income that matches their monthly expenses. Funds often pay out monthly, but quarterly or annual distributions are also common. There are even funds that will pay you weekly. Investors often choose to rely on multiple fixed-income funds to hedge against potential risks and to establish an ideal cash flow. You could, for example, keep a portion of your assets in a fund that yields variable returns while still enjoying reliable retirement income. Many fixed-income investments also give you the option of automatically reinvesting a portion of your returns. Reinvesting your returns into a fund will increase your monthly income in future periods. As with all investments, it’s critical to do your due diligence before agreeing to make a contribution. Consistent returns require minimal risk exposure, so funds that claim to offer extraordinary returns without highlighting risks should, in general, be avoided. Treasury bonds. The U.S. government is borrowing at a record rate, and the government borrows money by auctioning Treasury bonds to the general public. Treasury bonds offer minimal risk, but this comes at the expense of low returns. States and local governments do not levy taxes on Treasury bonds, but returns from these assets are taxable at the federal level. Government and agency bonds. Leading governments around the world use bonds to raise funding for their activities. Government bonds from advanced nations offer low risk, but risks can be higher in developing markets. Government agencies in the U.S. and foreign nations also offer bonds, but the risks associated with these investments can be higher than with ordinary government bonds. Municipal bonds. As with the federal government, local municipalities in the U.S. issue bonds on a regular basis. Most municipal bonds offer low risk, and all of these bonds are exempt from income taxation at the federal level. Corporate bonds. Companies seeking to raise capital often choose to issue bonds. Although corporate bonds yield high returns on a fixed-income basis, they can entail a high degree of risk. In the event of bankruptcy, corporate bondholders have first rights to any proceeds from liquidation. Mortgage-backed securities. Banks often choose to sell mortgages on the open market that can yield substantial fixed income. You do, however, incur significant risk when purchasing a mortgage-backed security since property owners sometimes go into default. Certificates of deposit. One of the most accessible fixed-income investments you can purchase is a certificate of deposit. Although certificates of deposit yield low returns, they also entail very low risk. Preferred stock. Instead of issuing bonds, some corporations choose to raise funding by issuing special notes that can be converted into common stock after a specified period. In the event of bankruptcy, the owners of preferred stock have priority over ordinary stockholders when assets are liquidated.